Which British Airways economy tickets can be upgraded using Avios? This article is part of our unofficial ‘how to’ series that we have been running during August for the benefit of recently joined readers. When British Airways ‘enhanced’ the Avios scheme in 2015, one of the carrots dangled at members to soften the blow of devaluation was the expansion of ‘Upgrade Using Avios’ to discounted economy flights. Historically, you could only use Avios to upgrade flexible World Traveller or Euro Traveller economy tickets. If you were spending your own money, it is very unlikely that you would be buying these. In January 2016, we had some good news. 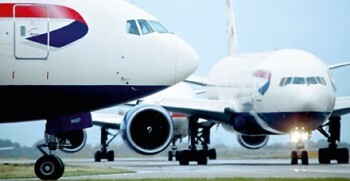 You could now use Avios to upgrade cash bookings made in K, M, V, L, S and N class on British Airways operated flights. This covers more economy fare classes than previously. It did not cover O, G and Q fare classes. These are the cheapest economy ticket types. You also need to remember that upgrades use the same reward availability as Avios redemption tickets. If you cannot book an Avios redemption in the higher class, you won’t be able to upgrade your ticket either. On ba.com, you can see your ‘ticket bucket’ by clicking on the flight number during the booking process. It will say something like ‘Economy selling class: Q’. Let’s take Amsterdam as an example. Any Euro Traveller ticket which only earns 125 Avios each way is in O, G or Q ticket bucket. You cannot upgrade this ticket. However, tickets which earn 250 Avios each way are upgradable, as are full fare tickets, earning 500 Avios each way. ba.com, once you are logged in, has the ‘Book with money, upgrade with Avios’ booking option which allows the system to show the cheapest ticket in a suitable ticket bucket. If your ticket has been booked by a travel agent, including a corporate travel agent, it can still be upgraded. This is rarely possibly via ‘Manage My Booking’ on ba.com – it will usually throw up an error message just before the payment page – but can done be done via the call centre. BA Holidays flights can be upgraded. However, package tour flights (technically know as IT fares) cannot. The Avios amount required for the upgrade is based on the Avios costs for reward flights in the cabins you are upgrading from and to and will depend on whether your flight is scheduled on a peak or off-peak date. Note that all bookings must be done in advance of travel. You cannot upgrade with Avios on board or at check-in. On long-haul, World Traveller upgrades would only get you into World Traveller Plus because you can only upgrade by one cabin (unlike Virgin Atlantic which allows multi-cabin upgrades). World Traveller Plus is a very small cabin and a very popular cabin, and it isn’t easy to find Avios reward space. Even if your ticket does qualify for an upgrade, your chance of finding a seat will not be great. World Traveller Plus also attracts the higher rate of Air Passenger Duty so there would be additional tax to pay. At the end of day, for the general public buying their own tickets far in advance, it is possible – due to the fare bucket – that they will never buy a ticket that is upgradable, let alone find that reward upgrade space is also there. It does work for a small number of people, mainly those on expensive corporate tickets which are flexible / refundable, but British Airways should not really be advertising the ability to upgrade economy tickets as a benefit for the average Avios collector, because it isn’t. You can find our more about ‘Upgrade Using Avios’ on ba.com here. Does anyone know if Amex Plat car hire excess insurance also applies to UK rentals? I’m uncertain at the moment whether the UK Amex Plat card insurance benefits apply only when on what the documentation refers to as a “Trip” or can also be your country of residence, in this case the UK? Sigh… Another pointless “feature” of the Avios scheme. I’m sitting on a pot of 360k Avios that I’m struggling to find a decent use for. Long haul economy class redemption? – may as well pay cash. Long haul business class redemption? – good luck finding 4 seats. Short haul anything? – oh, I have to go via London (and pay double for the privilege), let’s go direct with Easyjet/Ryanair/Whoever. Will probably end up grinding through them on car hire and occasional trips to London until future devaluations strip them of any remaining value. What I need is someway of “selling” them to others via flight bookings for “friends and relatives”! Hi Ian, I have to connect from a region as well, but MAN not well served for trans-Atlantic flights and a lot of people travel via LHR as the fares are often cheaper. So using avios to go to the US and Caribbean works well for us as a family. You’ll always find at least 4 Club World seats on flights to East Coast US cities, especially New York (a very popular holiday destination in itself) and if you want, from there you can go on to numerous other destinations. At present we are in the Cayman Islands, having flown in J to Washington DC for sightseeing then on AA down to the Caribbean, mostly using avios. As someone who is currently restricted to travelling at peak time, I can’t understand it when other people say they can’t find avios availability! I’d be happy to get you to book me a couple of flights, but not sure how to go about it ?……guess Rob would have to introduce. Why not use on hotels? Admittedly it is low value per point but 360k avios is about £1800 worth of hotel stays…with greater choice than sticking to your usual suspects of Hilton, Marriott etc. OT anyone having issues with Amex referrals today? My referral link is not working! (Slightly) OT… Club Europe catering changes now confirmed for 12 Sep.
Obviously – for the avoidance of the inevitable questions from simpletons – this is for flights LEAVING THE UK on or after the 12th, so the early morning inbounds that nightstop in Europe won’t have it until the next day. Can two SPG Amex’s be linked to one of the new Marriott Reward acc’s? This would help me achieve the extra 15000 bonus when transferring 60000 to a FF program. 5k? No. Can still transfer within Marriott at 50k pa for this purpose. I know very little about this, but wasn’t it 5000 when transferring 20000 with the old SPG to Avios and the new bonus appears to show 15000 with 60000? Yes. Nothing has changed. In fact, compared to the old Marriott exchange rate, it is much improved especially at lower levels. Prob now 100k then and T&Cs not properly updated. Worth a try. I went to Barbados last year and going Business made it, in the words of my wife who is not keen on flying, “actually quite enjoyable”. It is an old 777 however, so it’s not the lap of luxury, but having a flat bed on the way home was a real boon. Thanks, went Club last time, not bothered about going out as its a daytime flight, butnit made a huge difference coming back! Are there 2 Club World seats available for Avios redemption? If so, yes call. If not, there’s no point as there are no seats for the upgrade. I’ll save you the call. No reward seats in Club to Bridgetown until March 19. Off Topic. I need a referral for Amex Gold, (Rob? ), but I have an ancient, (2000) virtually unused now, British Airways Amex card. I guess I need to bin this to get the Gold bonus ? I’m flying from IAH to Dublin via LHR in premium economy on a T class fare. I called BA to inquire about the cost to upgrade IAH-LHR with cash. They told me I could only upgrade the entire booking and not just one flight because of the fare code. Any way around this? I recently booked a long haul return flight, about as far in advance as possible, I noticed that my cheap Economy ticket was upgradeable with Avios, (I could tell at quick glance what type of ticket that’d been selected for me based on the amount of Avios and Tier points I’ll get after I complete travel) I then phoned up about as soon as I noticed and looked for an upgrade from regular Economy (using Avios for the upgrade), but sadly there wasn’t anything available. This was again only a few days after the tickets went up for sale.